SPD Pedals on My Road Bike... Is It Sinful? View Poll Results: Do you have SPD pedals on your road bike? Thread: SPD Pedals on My Road Bike... Is It Sinful? SPD pedals on a road bike gotta get more respect than running pit bull pedals on any bike. Yes, it is wrong. Egg beaters are better and lighter. They also break after not too long. 2K miles and one of the springs sheared off. I'm back to good old reliable SPD mountain pedals. I'm in the same conundrum as you are; I have 2 road bikes still using Look Delta cleats, and one gravel bike using SPD's. While I like having soled shoes with SPD cleats that I can actually walk and drive with, I still find them hard to clip in with accuracy. 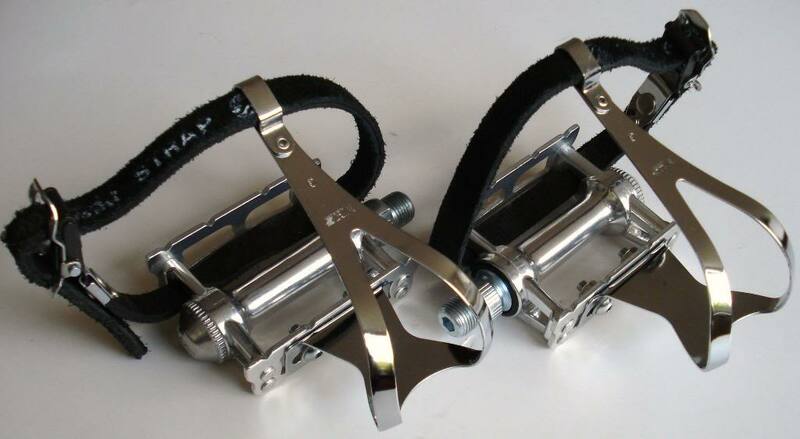 The Look pedals, OTOH, are extremely easy to clip into. Also, cleat covers are easy to put on to Delta and Keo cleats, but SPD cleats seem a bit harder for cleat covers to go onto, and provide less traction area. Still, someday soon I'll probably need to either upgrade to Keo cleats, or consider going full-SPD. Probably an isolated thing. Not saying spd or cranks bros are better than the other, but, to have a spring break is outside the bell curve. I used to ride them for years on the mountain bike and they worked flawlessly...candy's on the cx bike. EDIT: SPD's on the road bikes until I started racing. Figured out SPD-SL work way better for that application. Possibly. Though the experience of not being able to clip in for 7 miles is etched in my memory banks. You neglected to include an important choice in your poll -- Tried 'em and didn't like 'em. Sure, SPD and Eggbeaters have their uses on commute bicycles and mountain bikes but I could never get comfortable on them over longer road bike type distances. No matter what brand of shoe I tried (I went through three different pairs), the SPD and Eggbeaters always felt tippy beneath my feet, something that eventually got my ankles sore, fatigued my calves and made my pedaling less powerful. No matter what shoe I wore, I could always feel the contact area beneath my shoe, something that eventually made me feel as if I were walking atop a high-wire. Returning to genuine road pedals and shoes instantly put my feet and legs back at ease. Suddenly, I couldn't care less if I were a bit tippy when I stumbled into the Starbucks. 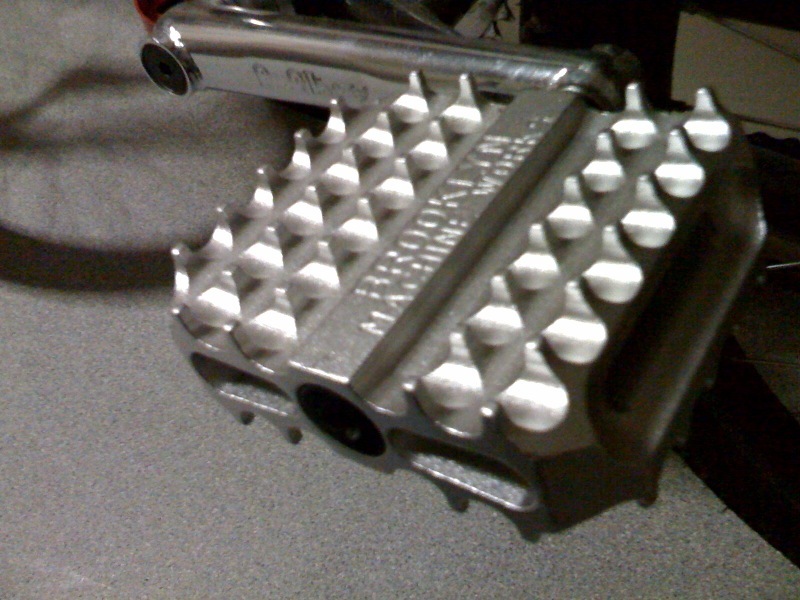 Consider your SPD pedals training pedals, and rename road pedals "race-day" pedals, if it matters to you. Hey everybody, ride my wheels! They ride good, real good. I'm a wheel builder. SRLPE Wheel Works. Send me a PM. Good solution... I like it! If you want your mind really "etched", wait til you get a peble in your spd's and you can't get out ever without removing your shoe. it is a sin according to those on every other type of clipless pedal. i like em. if there is a downside it escapes me. tried look pedals for a few weeks when i first went clipless(or click in) and didn't care for it. i find the spd's far more freeing and practical. Stopping to remove my shoe is a small inconvenience compared to a broken and useless pedal. When I first started cycling I had two pairs of junky Mavic's (SPD and SPD-SL) and thought "maybe I should have one nice pair instead of two bad pairs" (after my first pair of Mavic's started falling apart after <500 miles so I returned both for a pair of Sidi's, which I'm still riding 5 years later. Similar concept as to how people have 5 cars that barely run--why not sell them for one reliable car? I'm a sinner and blasphemer. 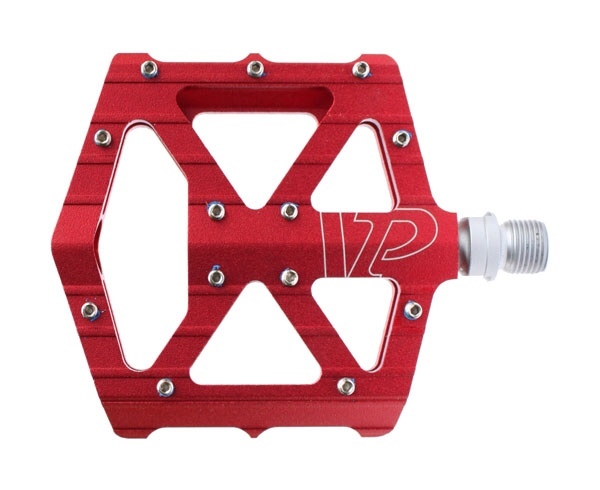 I've been using Speedplay Frog pedals and cleats on road bikes since I switched to clipless in 2014. I have them on 2 road bikes and 1 gravel bike. I prefer flats on my mountain bike. My Pearl Izumi mountain shoes have 5K road/gravel miles on them and they still look new. Plus, they are as comfortable as any good quality hiking shoe. Fred-li-ness is not a virtue, it's a way of life. I would be more concerned with the fact that you are riding a Trek! Who cares what you use other than you. Well, you'd probably wax the hill slightly sooner than the riding mate on SPDs. His shoes are heavier and more flexible due to the smaller cleat and pedal, so carbon soled racing shoes on wide cleats will transfer force more efficiently, like adding high octane gas to the engine. IMO, anyway. Quite a few riders have had the same experience as Mapei, heard tell. No way that shoe is not going to flex on that tiny cleat. The pedal isn't wide enough to spread out the force from the foot. The knees get wobbly at the worst times, when you need all the power you can get, or at the end of a long hard ride. Here's the best of both worlds. Tennis shoes or carbon soled racing shoes, either way, no problem, same bike. If dirt gets packed in the cleat, you can scrape it out with the key in your pocket. Last edited by Fredrico; 10-20-2018 at 12:18 AM. I first started road riding with Candy's and low end MTB shoes. Switched to SPD-SL and road shoes due to foot pain. Still ride road pedals/shoes on my road bike, but before my current bike I rode a shop demo numerous times with SPD's and carbon soled MTB shoes without any issue. The shoes made the difference. So I say stick with what works. MTB shoes and SPD pedals have come a way over the years--contemporary SPD is not what it was in 1990. You can get stiff-as-in-SITFF MTB shoes, today. As with road shoes--cheap shoes are more flexy, ofc SPD is a platform that is much less forgiving to cheap flexy shoes. Shoes will some grams heavier--but so what. being able to walk and not ruin floors or cleats is worth it. If your knees are feeling wobbly, different shims/insoles are in order. My Shimano XC7s are a hell of a lot stiffer than my Sidi SD15 touring shoes.....OTOH the insoles/mid-sole of the XC7s are for people with flat feet (noticed the crank rub), swapped out the insoles and they work great. Unless the surprise comes with inability to unclip when stopping, causing you to tip over to that side. .
My experience is that the odds of braking a eggbeater spring is about that same as breaking a crank arm and infinitely less than breaking handlebars, frames, wheels, and seat posts. And yet, I continue to use handlebars, frames, wheels, and seat posts--some from the same manufacturer. -Lots of just plain slop: up/down/left/right/angular....not float like say Speedplay X--it is just slop. Wastes power. -They eat soles...necessitating sole-protector-plates. Once set-up, who cares, but it is another wear item and another expense. -Most shops can regale you with many tales of mid and long-term durability issues. YMMV, as you note. 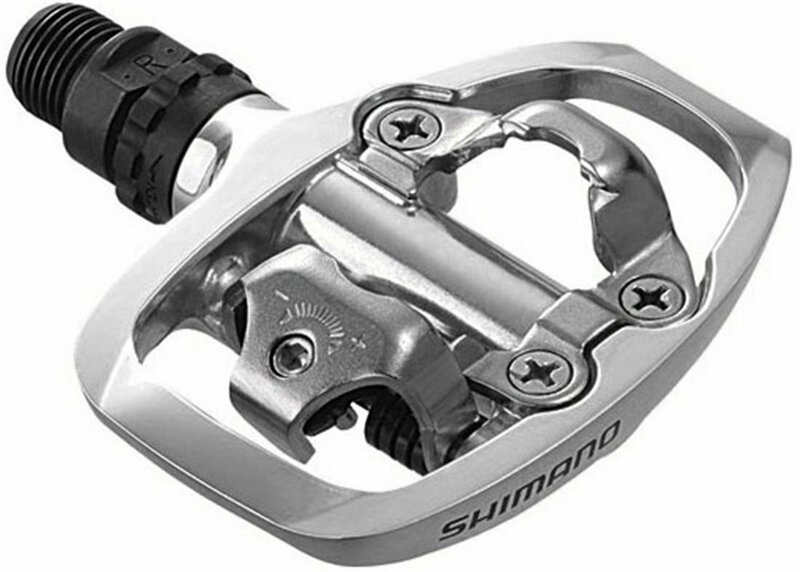 There was also the reality that you can get Shimano XTR pedals (top of the line) regularly for the cost of mid/low tier Eggs without looking hard or waiting for sales...and the Shimanos are more easily serviced, and don't have any of the above buggers. 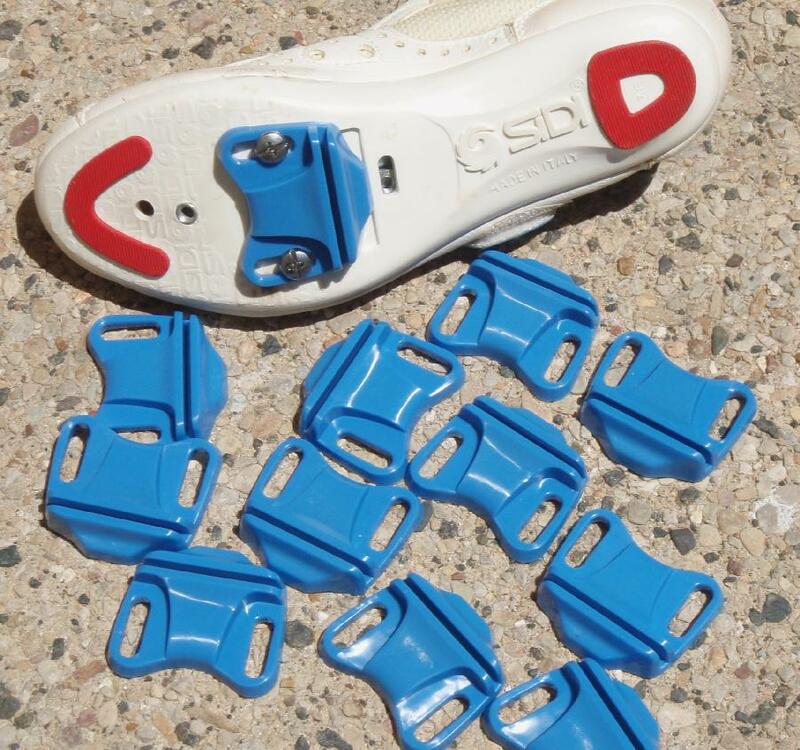 You can also find SPD cleats anywhere for $15USD. I paid $90 Prime for my M9000 set off Amazon--and that sale went on for over a year. I have 4 pair of these, large platform, single side. I am as firmly connected to my bikes as I need to be. My Lake shoes are plenty stiff too! Nah, OP. They’re not sinful. These are sinful. But I love them anyway. ^ Aren't those known as shin buster? Sinful to add modern parts to retro bike?